It is the first day of the month and that means today we post our monthly report showing Social Media Growth in Australia over July 2013. You can view last months report here if you want to see the figures for June. (Please note all stats represent the Unique Australian Visitors to the site over July – except for Facebook which is the registered number of users). 1. Facebook – 13,000,000 Australian users/accounts (up 800,000 accounts). Facebook recently confirmed they now have 1,150,000,000 active monthly users. 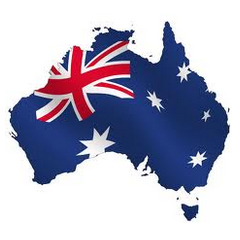 In Australia there are 13,000,000 users – representing approx 1.1% of the total Facebook population. Instagram has 130,000,000 active monthly users. If we take ~1.1% of this user base, this equates to 1,469,000 Australia users. This is my approximation. Facebook has had another big jump this month. This may be Facebook tweaking their ads tool, however in their most recent earnings report they have reported an increase in users to 1.15 billion monthly active users. Also worth considering is, how many 12 year old are there in Australia – turning 13, and how many of these ‘new users’ sign up to Facebook every year? We have recalculated the Instagram numbers and they are close to 1.5 million Australian accounts. We haven’t been able to get Instagram user numbers for Australia anywhere else. We are continuing to see smaller social networks lose users over time. As always, if anyone can help with our stats or has some insights, please feel free to share them. You are welcome to share and post our stats on your site – simply link back to this page or the homepage of SocialMediaNews.com.au. Content Licensed under Creative Commons License CC BY-ND 3.0. Stats courtesy: Quantcast, Comscore, Google Ad Planner tool, Google Trends, Facebook Self-Serve advertising tool, Vivid Social Research Division. Figures correct as of 31/07/13.